Located in renowned Lower Downtown Denver, we're a stroll away from the 16th Street pedestrian mall, Denver Center for Performing Arts, Convention Center, museums, and entertainment. 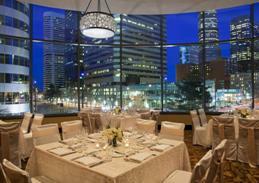 We're also within walking distance of professional sports venues.Awarded Colorado's first “Green Hotel” designation, our Four Diamond hotel boasts 32,000 square feet of meeting space, healthful catering menus, New York-based steakhouse The Palm, a WestinWORKOUT® Fitness Studio, and a roof pool with stunning mountain views. 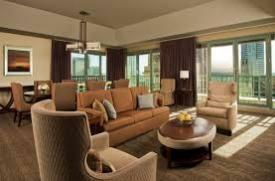 Maximize energy and productivity in one of our 430 guest rooms and suites that offer city and mountain views from 19 floors, 37” flat-screen LCD TVs, iPod and laptop interfacing capabilities, and signature style featuring the Heavenly® Bed. Hotel offers complimentary WiFi access, with premium speeds available, as well as other great amenities including an outdoor pool, fitness center and business center along with Mountain views. This hotel has a smoke-free policy. 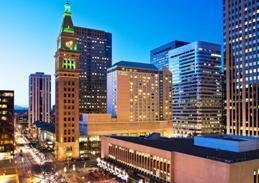 Downtown Denver is at your doorstep! 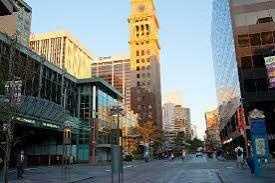 Larimer Square, Union Station and 16th Street Mall are all near the hotel. and may not be available at same rate after March 8, 2019. Rental car service is also available through various counters at airport terminals. Yes, I can snow in Denver in early April! On-site parking is available for a $35 daily fee. Valet parking is available for $45 daily fee. The recommended attire for this conference is business casual. should be directed to Really Great Meetings at (815) 338-9668. All cancellations must be received in writing 21-days prior to meeting. Cancellations received less than 21-days prior to meeting are non-refundable. Click for Leadership Justification for attending TPFUG this year!